For this episode of the PEMcast, we wrap up our series on immersive experiences and revisit an old friend, the visual artist Charles Sandison. 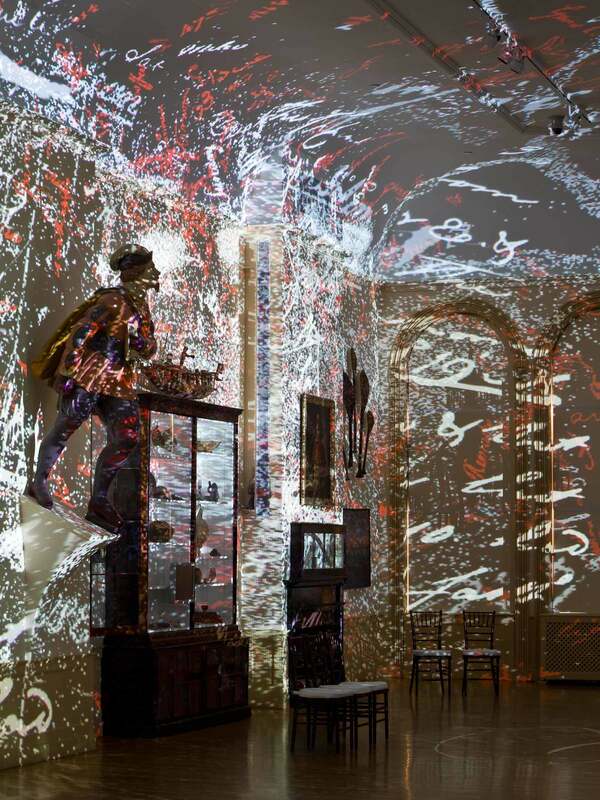 You may remember Sandison from his 2010 immersive installation in PEM’s East India Marine Hall. 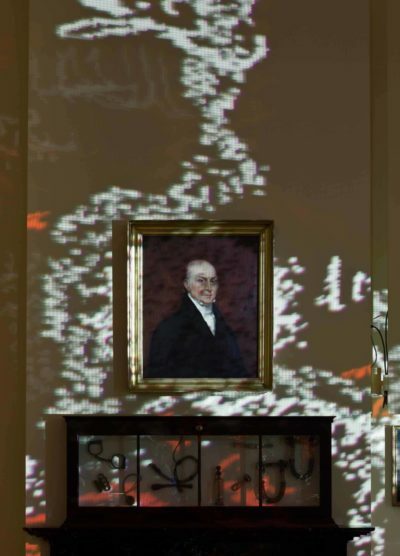 Internationally renowned for his animated digital projections, Sandison installed this site-specific artwork especially created for this oldest part of the museum. He activated the words of 18th-century ship captains' logs to create an immersive environment drawing on the trade routes, politics, competition and voices that led to the founding of the museum and the origins of PEM's remarkable collection. Organized by PEM's Curator of the Present Tense, Trevor Smith, this installation marked the first in a series of contemporary art interventions, all part of an initiative called FreePort. We recently caught up with Sandison to discuss how he began this digital work, the 2010 installation and his anticipation to return to PEM in 2019 for our expansion's grand opening. 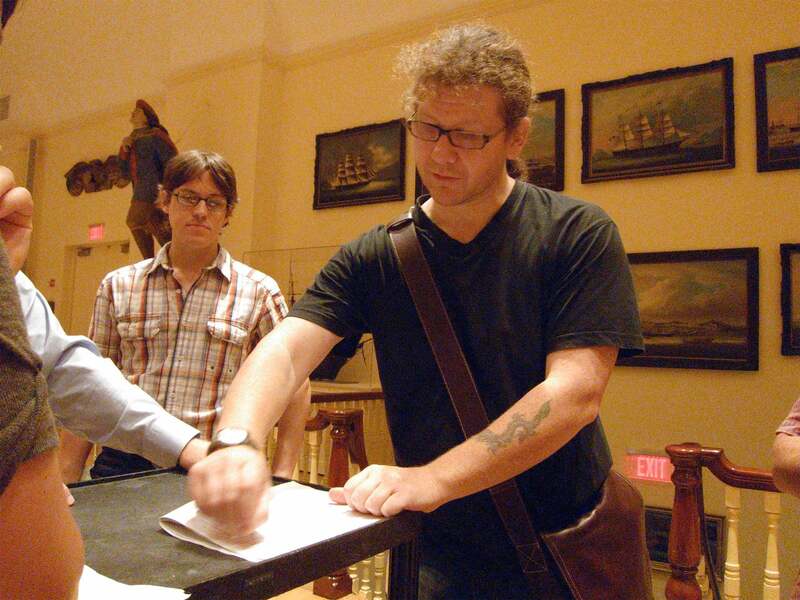 Back in 2010, Sandison was given “carte blanche” by PEM’s staff to investigate old handwritten ship captain logs to feed into his computer. He then used weather patterns and the movement of birds to influence how these images moved. In those days, he often had to wait for technology to catch up, and so he built his own computers. Sandison talks about the day he began learning to write code. He could push the artwork so far that the images trailed off the walls and you couldn’t tell where it started and ended. “It could be a figment of your imagination,” he says. Salem’s ship captains were the “early pioneers,” says Sandison, returning from the East Indies to share their new found knowledge. That was the basis for what became PEM. “Now I’ve got this wonderful opportunity to engage with where the museum is going,” he says. For the new installation, he will revisit some of the same material, but will not reproduce the 2010 experience “molecule for molecule and atom for atom,” he says. With some new staff, new buildings and different pieces of artwork on view, the museum has a whole different tone and hue than it did in 2010, says Sandison. Like PEM, Sandison's work evolves over time. Unlike a classical painting, it is not fixed, but benefits from tweaks, updates and the opportunity to remain relevant. You can hear the PEMcast on iTunes, Soundcloud and pretty much anywhere you listen to podcasts. Producers for this episode are Melissa Woods, Dinah Cardin and Chip Van Dyke. Corbett Sparks is our audio engineer.